Objectives: to compare lifestyles in the countries involved in the project on different topics: healthy eating, sports, consumer protection, etc. in order to use the knowledge acquired in other activities; to raise awareness in learning foreign languages for improved communication and to practice foreign languages (German, English, French); to develop teamwork, solidarity, tolerance, friendship; to discover different intercultural aspects of partner countries. The information for the case study was collected during an interview with Ms Liliana Ignat, the coordinating teacher. This project intended to make a comparison between healthy lifestyle in Romania and Germany, by taking into account topics such as eating habits, healthy diets, sport practicing, etc. The partners saw what real life meant in each partner school and knew a new culture and civilization. The pupils involved in the project became more motivated to learn foreign languages and the exchange visits gave them the opportunity to use them in real life situations. In order to reach the aims of the project a lot of activities were organized: making and analysing questionnaires and interviews about eating habits, measurements of biological parameters of the human body, visits connected to the chosen topic, results presentations in diagrams, tables and reports, etc. In the end the participants improved their living habits and developed a new conscience towards a healthy lifestyle. This Comenius project gave "Vintila Baratianu" secondary school the chance to get a better reputation at local and regional level and to improve the teaching strategies for a better quality education within the European dimension. The participants became aware that they are capable of meeting the demands of a European school, and they became more confident in themselves and improved their English and French knowledge. On the other hand, the teachers got used to the latest teaching methods in accordance to European requirements. As a result of this project their school was no longer considered “just a school in the countryside” and consequently more pupils have attended it every year. At the same time the topic of the project was very interesting, leading to a new conscience towards a healthy lifestyle and a greater care towards the consumer protection, a field always in Europe’s attention. The target languages were German (for Romania) and Romanian (for Germany). The main aim of the project consisted in the comparison, through different methods and means, of the lifestyle in each partner school, taking into account topics such as eating habits, healthy diets and sport. - to promote teamwork and team spirit, to break down prejudices and build up solidarity, tolerance and friendship in a European spirit. •A better reputation of the school at local and regional level. a)The pupils’ knowledge of communication languages (English and French) were evaluated by foreign languages teachers once a week by taking tests and by discussing in mini-workshops to see if their writing and speaking skills improved. b)The pupils' knowledge of the target languages (German and Romanian) were evaluated during the language courses and directly during the exchange visits. c)Questionnaires to see if the pupils' motivation to learn foreign languages increased after the first exchange visit. -a SWOT analysis made by the teachers and pupils involved in the project after four months of project work. The following issues were considered: a) Are the means of communication used efficiently? b) Does the project have an impact on the curriculum? c) How did the pupils complete the tasks set to them? d) Are parents/local community/other educational organisations involved? e) Are the teachers working together ? f) Is there a greater awareness of the European dimension in education and of different cultures? -poster with the project progress placed at the entrance of each school so that it can be seen by a wider public and raise interest about it. - photos taken by pupils during different phases of the project development. -a school campaign for a healthy lifestyle with a suitable slogan. -campaign for health in schools at regional level. The European Language Label was an opportunity to get known the fact that pupils can be motivated to learn foreign languages in a pleasant and attractive way without being obliged. The students themselves realized the importance of knowing them and got really satisfied when they were able to communicate with their partners from Germany. Even their parents tried to speak in English and French during the visit of the German pupils in Romania and learned some words in German. At an intercultural level the pupils learned to cooperate with people from another culture and civilization promoting teamwork and team spirit breaking down prejudices and building up solidarity. All the participants said that this project changed their lives in a better way and it was worth making this known at a European level. The school got a better reputation at local and regional level. This award is presented in order to promote it on each available occasion as a proof that "Vintila Baratianu" secondary school can be considered a European one. The coordinating teacher suggests that pupils and teachers should work together during the entire project development. They should treat everything seriously and fill in the application form with patience trying to show what they managed to do to learn and teach foreign languages in a different way than at school. 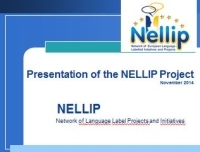 The NELLIP Network selected the Healthy Lifestyle project because of its consistency with the political priorities of the European Commission in the field of language learning. In particular, the Healthy Lifestyle project has been chosen because it contributes to the enhancement of quality of language learning in informal and non-formal environments through different types of language learning activities based on teamwork and intercultural understanding. 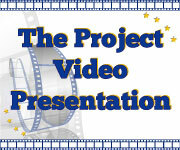 Message: The \"Healthy Lifestyle\" project has developed some very important objectives. I believe the most important is the one regarding the comparison between lifestyles of school students from different countries around Europe.I also think that topics like healthy eating , sports, consumer protection can be of great interest for a better society developing. I saw as well that the project focuses on raising awareness in learning foreign languages for communication and practicing foreign languages (German, English, French), on developing teamwork, solidarity, tolerance, friendship and last but not least on discovering different inter cultural aspects of partner countries. It very useful from my point of view to know inter cultural aspects from other countries because you can create a network and a bond between countries easier.